More writing, more videos, more ultimate. Get 2 months free if you purchase annually instead of monthly! Purchase at a discounted group rate and get additional benefits! Contact support@ultiworld.com to purchase a 3, 6, or 12 month gift! Haven't created an Ultiworld Account yet? Register today, it's free! Ultiworld is not unique in the web publishing ecosystem. More and more, publishers — from small ones like Ultiworld to very large ones like the New York Times — have realized they cannot rely on advertising dollars alone. And in order to serve their communities, direct financial support from readers is necessary. Your subscription directly supports our writing and journalism from college to club to youth. What’s included in a subscription? Exclusive articles, both long-form and short-form. Subscriber-only podcast, Sideline Talk, hosted by Charlie about the people and personalities of ultimate. Monthly email newsletter, In The Zone, focusing on off-the-field news in the realms of business, sport development, people and leaders, and more, with inside knowledge and original reporting. Select game footage from our video archives is made available for all subscribers in the Classic Games Pack. Option to turn off ads on mobile devices will appear in My Settings. All footage in our video archives available to stream from anywhere or to watch offline on supported iOS or Android devices. Chance to vote on filmed games at major tournaments. Early access to livestream archives after a broadcast is over but before it’s ready to be published to the video archives. Invitation to the Ultiworld Slack workspace where you can chat about the latest news, results, rumors, and more. Plus you can make side bets with the Ultiworld crew! Option to turn off ads on all devices will appear in My Settings. What part of Ultiworld do the subscriptions support? A subscription is the best way for readers to support *everything* we do at Ultiworld. We have purposely shifted our fundraising focus to these new, bundled subscriptions because they allow us to raise funds from the most popular aspects of our coverage and subsidize less immediately profitable coverage. If you enjoy our strategy articles but also want to support expanded youth coverage, a subscription is a great way to do it! If you religiously watch all of our club women’s footage, but want to support D-I and D-III college women’s coverage, a subscription is a great way to do it! If you appreciate all of our reporting but you really just want to make sure Pat & Tad can survive another year of Sin The Fields, a subscription is a great way to do that too. What is the planned video coverage for this season? What if I’m buying for a large number of people? If you are trying to purchase video & subscription access for a large number of people, we do offer significant discounts and benefits to groups that buy together. Check out our Team Pack page for more information. 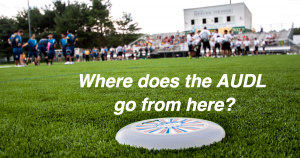 Where Does The AUDL Go From Here? 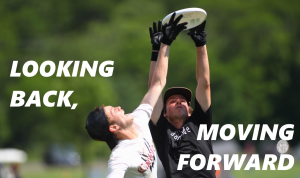 When the American Ultimate Disc League launched in 2012, few expected it would make it this far. How Matt Gouchoe-Hanas and Sol Yanuck's lifelong friendship became the most compelling rivalry in men's college ultimate. Australia's Phillips sisters are two of the most important factors in the Firetails' success at WUGC 2016, but they are contributing in different ways. As usual. Over three meticulously researched parts, Kyle Weisbrod makes the case that the relationship between USAU and its members is at an all-time low and lays out the history of decisions and organizational changes that led to this point.